NO RESTORATION TO THE COMIC. CGC NOTES OFF WHITE TO WHITE PAGES. 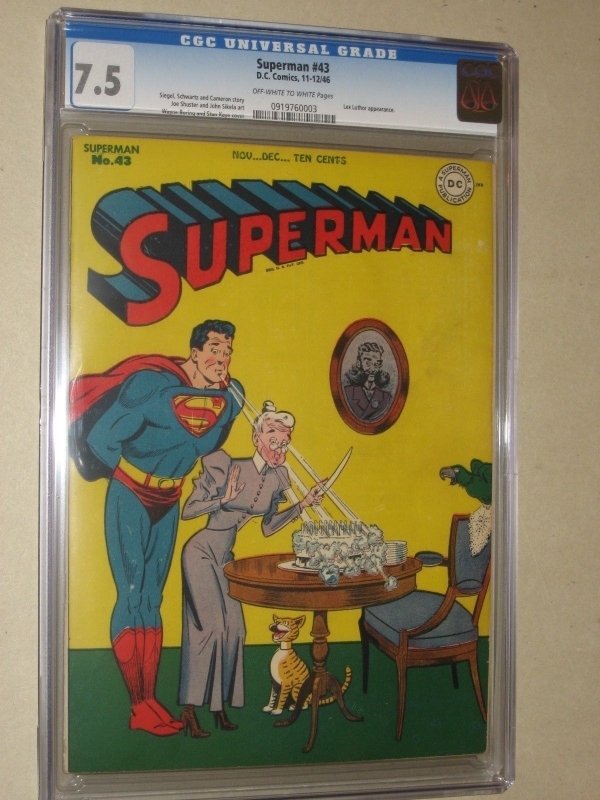 CGC # 0919760003. HOLDER HAS NO CRACKS OR CHIPPING. US SHIPPING VIA PRIORITY FLAT RATE BOX IS FREE WITH DELIVERY CONFIRMATION. FOREIGN BUYERS PLEASE UTILIZE EBAY SHIPPING CALCUALTOR REGARDING SHIPPING CHARGES. PLEASE CONFIRM SHIPPING CHARGES PRIOR TO ANY FOREIGN PURCHASE. Import duties, taxes and charges are not included in the item price or shipping charges. These charges are the buyer’s responsibility. Please check with your country’s customs office to determine what these additional costs will be prior to bidding/buying. These charges are normally collected by the delivering freight (shipping) company or when you pick the item up – do not confuse them for additional shipping charges. We do not mark merchandise values below value or mark items as ‘gifts’ - US and International government regulations prohibit such behavior.